The recognition highlights CapLinked’s advanced VDR-based API solution and Blockchain distributed storage, employed by organizations sharing sensitive or confidential information with outside parties. Editors involved in selecting this year’s winners touted CapLinked’s early-stage private client encryption key for each file and coming Blockchain-enabled mobile application. The API allows organizations to integrate modern security features from CapLinked Virtual Data Rooms (VDR) to their existing applications and storage platforms. Two upcoming feature updates will add advanced security features with minimal impact to system performance. “We are thrilled to be recognized for our advanced technology platform, but our clients get the real value. Our unique API and Blockchain storage mechanism reduce threat of data breach and allow the pace of collaboration to be at a very high level. Currently, competitors on legacy platforms simply can’t match CapLinked’s speed and security, and certainly not with what we have coming up in the next few months. In an effort to protect against increasing threats to sensitive information, adding security protocols can often slow down the pace of collaboration. Contrary to this common belief, CapLinked continues to find innovative ways to speed collaboration while adding even more security features. The CapLinked API allows its clients to seamlessly, and without plug-ins, incorporate advanced security features to their proprietary applications, CRM, and file storage. The list of features include end-to-end data encryption, file and folder permission, water-marking, file archival, activity tracking, and even Digital Rights Management (DRM). Plug-ins degrade system performance and speed. However, CapLinked’s technology does not require plug-ins, allowing for much faster speeds during normal operation than legacy VDR solution providers, especially when the process adds advanced security features. CapLinked has two new features that extend security for CapLinked VDR clients—both of which are in early development stage. The new features will bring added levels of security to sensitive information, from the most basic level of file storage to the higher level of system notification. The first feature will extend the original platform to offer security compliance with a private client encryption key for each VDR file. The second feature is a new mobile application that implements Blockchain technology. In their report, CIOReview writes that companies need to enhance productivity with embedded collaborative technologies that “turn knowledge into action.” Noting “there is no lack of collaboration technologies in the marketplace,” CIOReview selected “the best vendors that offer the most promising solutions … [and] go the extra mile”. 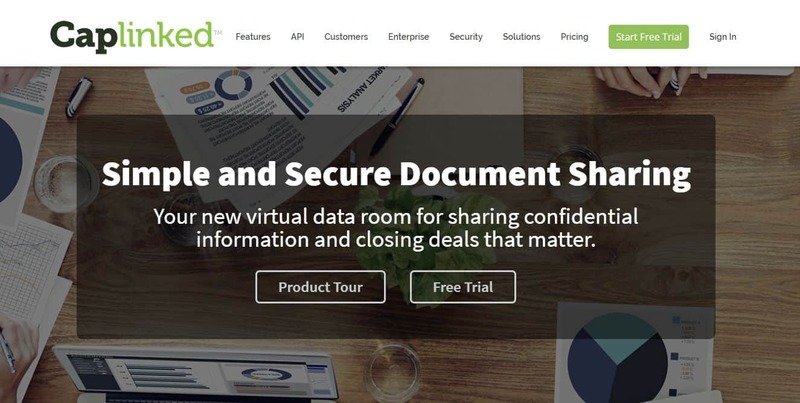 Read more on why CIOReview thinks CapLinked is one of the most promising collaboration technologies through their website.